Rip-roaring value! The taste-per-dollar here is off the charts. Do yourself a favor and grab a case of this like we did when it arrived. Since its founding in 1849, Reichsrat von Buhl has stood for some of the noblest Riesling from the best vineyards of Mittelhaardt. We are more than ever committed to this tradition and see it as a commitment to quality. 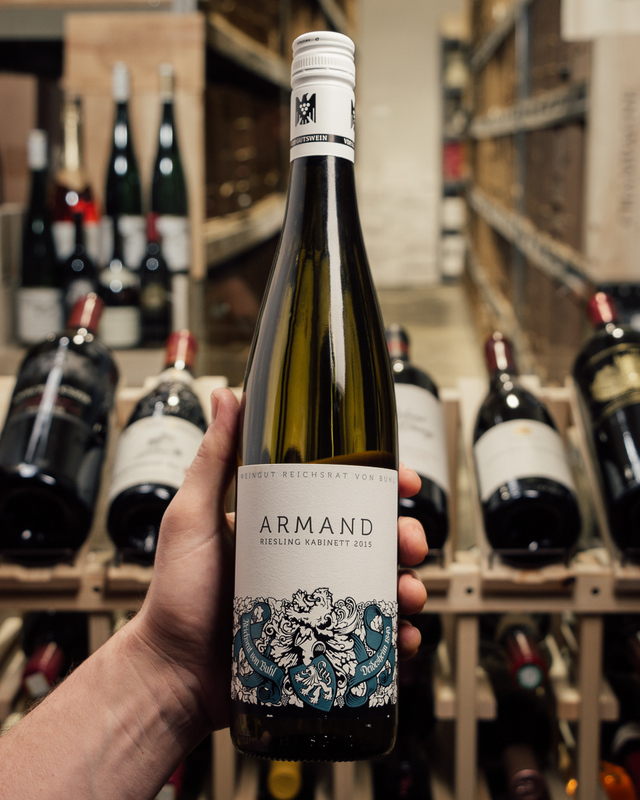 Born of the bequest of Andreas Jordan's vineyards to his children; Ludwig Andreas, Josephine and Margaret, Reichsrat von Buhl grew by the marriage of Armand Buhl to Juliane Schellhorn-Wallbillisch, the daughter of a Forster winemaker. After the death of the childless Frieda Piper von Buhl, the winery passed to George Enoch von und zu Guttenberg. From 1989 to 2013 the winery was leased, during which time it was sold to Achim Niederberger who installed a new team to run his estate in 2013. This is a very brief summary of the long and exciting history of Reichsrat von Buhl. Today these are some of the most exciting dry Rieslings being made in the world. Developing petrol notes are persistent in this distinctive dry style, which shows beeswax, baked apple and savory herbal accents. Not a crowd-pleaser, but perfect for fans of the style. Pair with raw seafood. Drink now through 2020. 800 cases made.